Sensitivity is a word that we comprehend in various ways. Some of us describe ourselves as very sensitive because we react strongly to stimuli from the environment we are in. Some are sensitive to specific kinds of things, such as emotions, and then again, some people never feel sensitive. When I talk about being sensitive, I relate it to the skills in our body and mind that enable us to pick up on things in our surroundings. We can then ask: Why are some people more sensitive than others? What makes us sensitive? Are we born sensitive – or is sensitivity something that we acquire through life? Is it good or bad to be sensitive? If sensitivity causes us trouble, should we then try to get rid of our sensitivity? 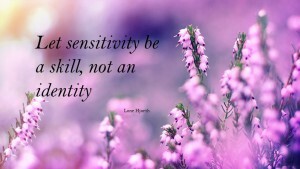 In my opinion, sensitivity is a gift and something that everybody should strive to develop. Sensitivity is the key to solving many of our problems. Before we can solve a problem, we have to know what the problem consists of. We therefore have to gain insight into the details of the problem. A problem can be physical, practical, mental or emotional and in order to be able to interpret its signals, we need our sensitivity. It is our sensitivity that shows us the way to solutions and illuminates the parameters of our problems. If you want to feel your emotions, you need your sensitivity to feel how they appear in your body and mind. To understand the signals that your physical body sends you, you need your sensitivity. To start with, it is often the easiest not to listen to the signals that your sensitivity picks up on. But when your body sends a signal, it is because it has something to tell you. If we don’t respond to the initial signals, the body will just turn up the volume until we do. If we apply our sensitivity and listen to the body’s signals from the start, we will be able to react in time and more precisely. I think that everybody is born with a certain amount of sensitivity, and that this is related to the energy that our body creates when we are born into this world. We also come with skills, talents and previous experiences and this affects our sensitivity. It is also my experience that it is possible to close sensitivity down. If for example one’s childhood environment was opposed to sensitivity in general, suppressing one’s sensitivity can become a survival strategy in order to fit into the family. Opening up to our sensitivity can be triggered by various factors and conditions and in addition growing older often makes us more sensitive. Seen from a spiritual perspective, sensitivity is a very important tool that is necessary for developing our intuition. Intuition is the gateway to the spiritual dimension and we need our sensitivity for establishing contact to as well as listening to our intuition. It is possible to acquire more information about our own sensitivity by looking at our astrological birth chart. 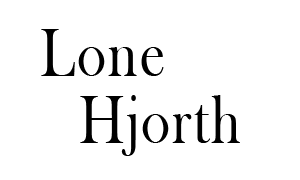 Information about sensitivity to topics such as emotions, thoughts, energies, manipulation and intuition can be found in astrological readings.